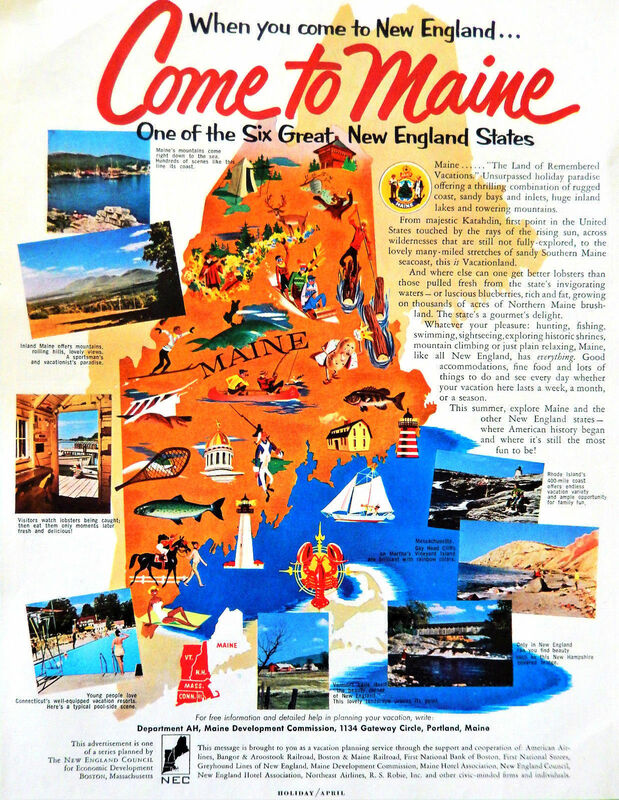 A Redditor on the Maine Subreddit recently posted this amazing tourism ad from the middle 1950s, and gives us a window into how we pitched Vacationland to the flatlanders 60+ years ago. See the full high-res ad here. The ad was run by the Maine Development Commission, and some of the actual language is pretty funny. At the bottom, it tells you where to write if you want more information. Imagine living in a world where you have to write for more info, and then wait to get some back! Talk about living in a different universe!